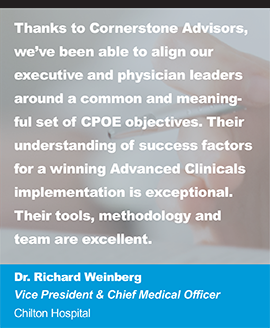 Cornerstone Advisors has been selected to develop and lead the Epic Community Connect program at Regional Health (Rapid City, SD.) 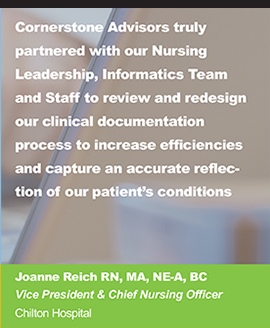 With Connect, Regional Health will be able to expand their Epic electronic health record (EHR) system to critical access hospitals and affiliate physician practices in their region. 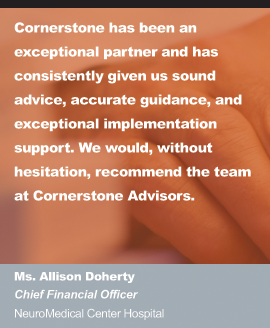 Cornerstone Advisors developed the program over the past several months and is set to launch the implementation in October 2018. 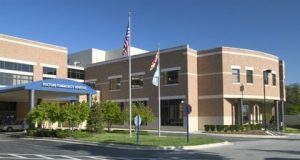 The Connect project includes three critical access hospitals and their ambulatory clinics. 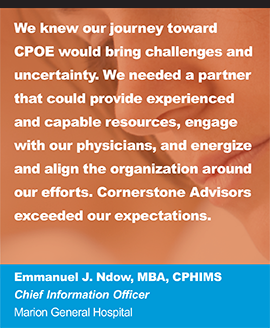 Cornerstone Advisors guided Regional Health through the planning and strategy of the Connect program and created a strategy for future expansion that included a business plan, total cost of ownership, staffing model, third party application assessment and review, policies and procedures, and contract templates to be used for future providers. 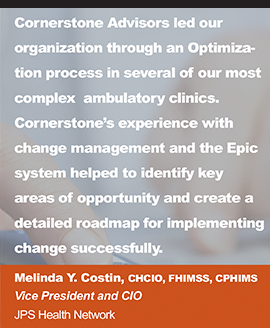 Cornerstone was selected to lead this Connect development due to their unique methodology, approach, and in-depth team experience with Epic Community Connect. 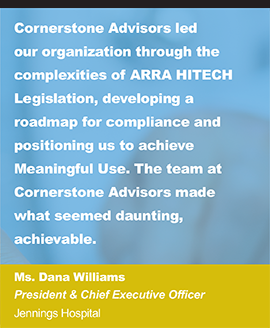 They have worked with multiple clients to plan, build, and staff Connect programs, including one of the largest Connect implementations in the country, which has allowed a better understanding of the best practices associated with successful programs. 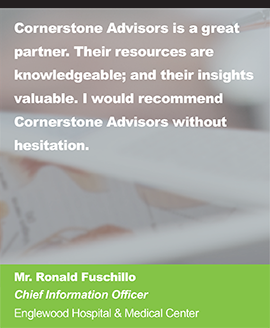 Cornerstone has exceptional tools to help analyze markets, develop pricing models, and understand the best way to deliver a Connect program. 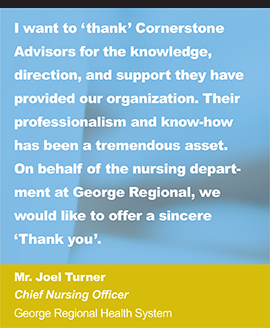 Cornerstone Advisors Group is a national Health Information Technology professional services firm. 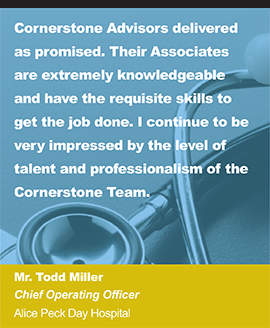 Founded on the principles of Partnership, Integrity, Commitment, and Value, Cornerstone Advisors provides a higher level of advisory services and implementation expertise to the healthcare industry. 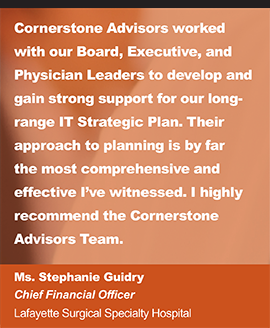 Inspired by trusted relationships, Cornerstone Advisors partners with every client to drive change, add value, and maximize the return on their Health Information Technology investment. Our pledge is to exceed the expectations of every client.